About Omax - G & W Machinery Sales, Inc.
OMAX Corporation is the leading provider of precision-engineered, computer-controlled, multi-axis (X-Y) abrasivejet systems for use in the manufacturing environment. When OMAX was established in 1993, our objective was to harness state-of-the-art technologies to make high-pressure abrasivejet machining practical, affordable, and easy to use. We revolutionized the industry by creating the OMAX JetMachining Center, the first truly affordable system to offer abrasivejet capabilities with consistent, precision results. Our founders, Dr. John Cheung and Dr. John Olsen, developed and combined new motion control technology and proprietary software to engineer an abrasive waterjet that meets the needs of today's manufacturers. 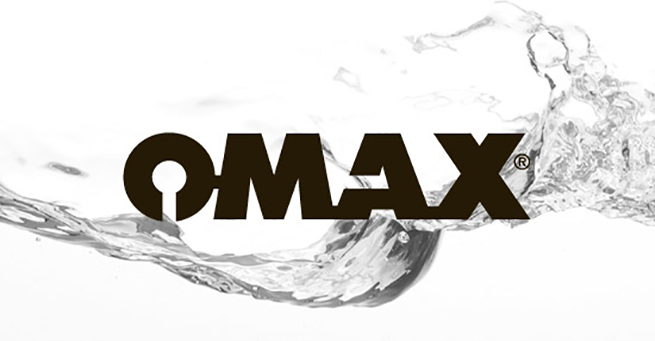 Over the years, OMAX has brought together the leading innovators and experts in abrasive waterjet technology, fostering an environment that promotes teamwork and a dedication to excellence. OMAX developed a patented easy-to-use "Compute First-Move Later" conversational programming system that is built directly into the controls of our abrasive waterjets. The capabilities of our machines constantly evolve to meet the diverse and changing needs of manufacturers. Our customers consistently find new ways to work with OMAX machines, driving our engineers to accomplish more through abrasive waterjet technology. Teams meet on a daily basis to consider ongoing engineering projects focused on further refining product efficiency, reliability and simplicity. Additionally, every innovation we develop is made to be a retrofit, so each of our customers can benefit, no matter how old their equipment. Many components of OMAX machines are produced with our own abrasive waterjet technology, giving us an even greater insight into the use of our equipment. Our constant dedication to innovation and improvement transforms today's ideas into tomorrow's solutions. OMAX is the only fully integrated waterjet company that designs and produces its own pump, high-pressure plumbing, machine controller, software, and tables. Full responsibility from one source ensures customer satisfaction. The OMAX JetMachining Centers are sold through a well-established and growing network of distributors. Each distributor has already been successful in sales and service of conventional machine tools and is carefully selected for the ability to provide superior customer service before, during, and after the sale. In addition, OMAX Service Technicians are available for expert installation, training, maintenance, and repair assistance. Our substantial investment in engineering and R&D enables us to maintain the technology lead through continued product development. The waterjet industry's most precise X-Y table to ±0.001"